After a nearly two-year effort, drug store chains Walgreens and Rite Aid have given up on their effort to merge. 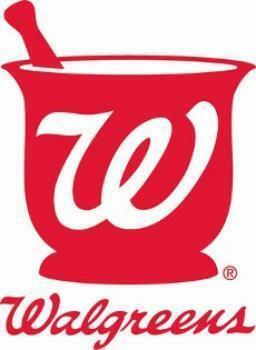 Instead, Walgreens will get bigger and Rite Aid will get smaller. Because federal regulators raised roadblocks to the plan for Walgreens to take over its smaller rival, Rite Aid has announced that the original deal is off. Rite Aid will instead spin off a large chunk of its assets, including nearly 2,200 stores, to Walgreens for nearly $5.18 billion. Rite Aid CEO John Standley said he believed the original merger deal was the right course of action, especially after it became clear that the deal might not win Federal Trade Commission (FTC) approval. That's when they went to plan B -- selling stores instead of stock. "The transaction offers clear solutions to assist us in addressing our pharmacy margin challenges and allows us to significantly reduce debt, resulting in a strong balance sheet and improved financial flexibility moving forward," Standley said. What the proposed deal means for consumers is the Rite Aid brand will continue to exist in the marketplace. Under the proposed merger agreement, Rite Aid stores would have eventually become Walgreens. Rite Aid operates approximately 4,600 stores in 31 states and the District of Columbia, with a strong presence on both the East and West Coasts. The nearly 2,200 stores proposed for sale to Walgreens are clustered in the Northeast, Mid-Atlantic and Southeastern regions, Rite Aid said. In addition to the stores, the deal includes the sale of three distribution centers in Dayville, Conn., Philadelphia and Spartanburg, S.C. While Rite-Aid will continue as an independent brand, it will have a significantly smaller national footprint. For Walgreens, it is getting pretty much what it would have in the merger. In January, amid opposition from federal regulators, Walgreens agreed that if the merger were approved, it would sell a number of both Walgreens and Rite Aid stores.